Shares of Nemaska Lithium plummeted after the news that another C$375 million will be needed to complete construction of its Whabouchi mine. Nemaska Lithium’s (TSX:NMX,OTCQX:NMKEF) share price plummeted more than 45 percent on Wednesday (February 13) after the company announced a financing shortfall for the development of its Whabouchi project in Quebec. The company estimates another C$375 million will be required to complete construction and meet the drawdown conditions provided in a streaming deal with Orion Mine Finance and senior secured bonds closed last year. “We are evaluating several options that would enable existing and new shareholders, and project partners to join the table,” said Guy Bourassa, president and CEO of Nemaska Lithium. “Our objective remains to close the required financing on time to stay on target to complete mine construction in October 2019, in order to make the first shipment of spodumene concentrate in December 2019, followed by the start-up of the Shawinigan facility the year after,” Bourassa added. The extra money needed to complete development is largely related to installation and indirect costs, which are now being based on finalized agreements rather than estimates used for the technical report for the project. “Construction is currently on track, but should fundraising take more than 90 days, we might see delays built in to the program,” Eight Capital’s David Tabolt said in a note to clients. The Nemaska news speaks to the difficulties all companies have in bringing new supply into the market — both developers and established majors, Benchmark Mineral Intelligence Senior Analyst Andrew Miller told the Investing News Network (INN). “The process of bringing new lithium resources to market is difficult at both a raw material and chemical conversion level. [The market has] seen this in recent expansion efforts from the likes of SQM (NYSE:SQM) and Albemarle (NYSE:ALB), so it’s likely development-stage companies will run into similar delays,” Miller added. For his part, battery metals expert Chris Berry told INN it is important to first note that not all projects are created equal. Meanwhile, lithium expert Joe Lowry said that although generically speaking lithium projects are challenging to bring online, the scale of the debacle in Quebec — the poor execution and inability to properly frame costs — is specific to Nemaska. “Unfortunately it will be another black eye on lithium juniors. 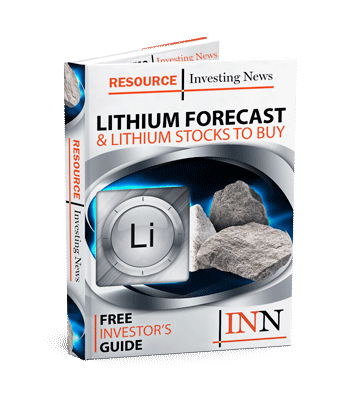 So despite being a significant failure by a single company, it will have industry-wide ramifications making already skittish investors even more negative,” Lowry, who is co-host of the Global Lithium Podcast, told INN. But all juniors “should not be tainted by Nemaska’s failure,” said Lowry, giving the examples of Pilbara Minerals (ASX:PLS) in Australia and the partnership between Lithium Americas (NYSE:LAC) and Ganfeng Lithium (SZSE:002460), which he doesn’t expect will have anything more than standard project challenges. “Nemaska is another example of why the ‘tsunami of supply’ isn’t happening — producing LCEs on spreadsheets is easy. Reality is another matter,” he added. For Berry, delays are a part of commissioning mining projects, but it’s almost impossible to forecast the extent of any delays or cost overruns for specific projects. “I would assume that investors would start to demand higher rates of return on debt and equity given the challenges in funding lithium projects going forward,” he added. Despite the challenges of funding new projects in the current market, Nemaska has been successful in its financing efforts to date. “To have to raise more funds at this stage of construction will be a setback, but Nemaska has a number of partners and offtakers lined up that have an interest in the project reaching production on time — particularly with massive battery expansions on the horizon,” Miller added. Looking ahead, Nemaska said management will get on the road immediately to seek funds and plans another update by the end of February with potential financing options and cost reassessment details. The Whabouchi project is estimated to be the second-richest and largest lithium deposit in the world. The company expects the spodumene concentrate produced at the future mine to be processed at the Shawinigan plant. A 2018 feasibility study estimates Whabouchi will have a mine life of 33 years, with average annual production of 213,000 tonnes of concentrate to produce 23,000 tonnes of lithium hydroxide and 11,000 tonnes of lithium carbonate. On Wednesday (February 13), shares of Nemaska closed down 35.45 percent at C$0.36 in Toronto.